This was a 2 day project. 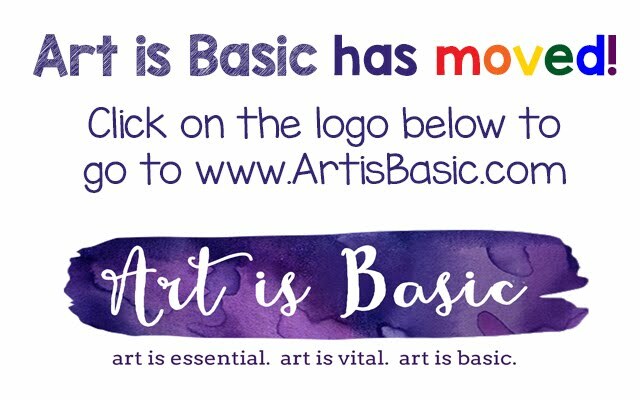 We decided as a class what our theme would be for the banner. We chose the jungle. Next, we brainstormed types of animals in the jungle. Each kid signed up for one animal to make. We cut these out of felt. Next, I hot glued them on to a piece of burlap and green felt. The kids also raided the fabric scrap box for extra details. The 5th/6th graders have been studying Medieval art and we viewed a powerpoint about stained glass windows in cathedrals. 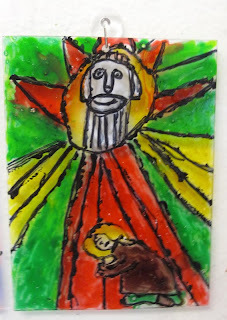 The students use glass stain on pieces of plexiglass to make their own picture. We first drew the lines on a piece of paper. Then, we placed the plexiglass on top of the paper. They painted their black lines first and let them dry. Then they use the glass paint to color in the areas. 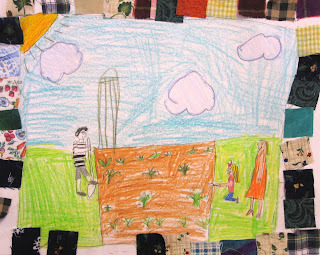 This lesson plan is an idea I tried at one of the National Art Education Conferences. 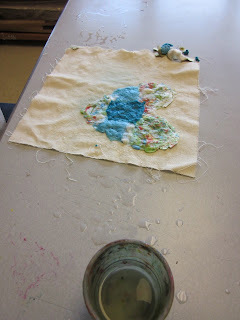 This is such a fun project because it gives you the experience of paper pulp painting, but without the blenders or mess. One thing I will be sure to remind the kids of next time is to be sure to tear the paper into really small pieces. The larger pieces fell apart. We coated these with a modge podge after to secure them completely. We also read one of Denise Fleming's books. 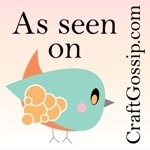 She creates her illustrations from paper pulp. *** EDIT: I need to add that you should make sure that the tissue paper is NON-BLEED. If it bleeds, the colors will all run together. It should say whether it is bleeding. If it doesn't say "bleeding" it should be non-bleed. This is how we set up the tables for the kids. Use a canvas cloth underneath as a place for your work. Rip up tissue paper in tiny, tiny pieces. Dip in water and then press very firmly to the canvas. The goal is to push the fibers of the tissue paper together. When they dry, they will re-bond. Do not use large chunks of tissue paper! After your whole picture is complete, let dry for one or two days. If there is a lot of water on the picture, you might need to set up a fan to dry more thoroughly. After the images were dry, we glazed a Mod Podge layer over the top. I have heard that you can also use a little bit of glue mixed with the water (while you are making the picture). The Mod Podge allowed the piece to be sealed and secure. Then, I hot glued each project to a piece of white foam board for a lovely backing. This post is sponsored by SantaFeUniversity.edu, offering art degree programs. I wanted to introduce graphic design to my 4th graders and I thought a magazine cover would be super fun. I was able to check out the mobile lab computers for one of my classes, but for the other unit, the cart was already checked out, so those kids are doing something else completely hand drawn. I showed them a short powerpoint about graphic design elements, quickly showed them my example and set them off to create their own magazine cover in photoshop or word. They are just typing the text of the magazine, and then hand drawing the image on the cover. If we had more time, I could have them search for pictures for their cover, etc. but since it is the end of the year, we are pressed for time. Here is my example and I can't wait to see what these kids will come up with! Yep, I'm no graphic designer, but I had fun making this! 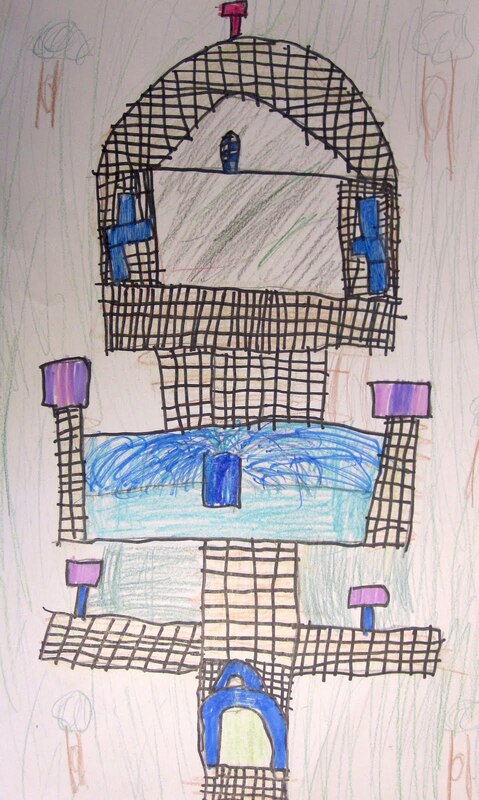 Oh, and we had a nice discussion where the kids had plenty of ideas for improving my design! It really allowed them to think critically about what could be left out, what could be added and what would make the communication most effective. This is one of my favorite lessons for kindergartners! First, we identify and classify the colors as warm or cool. Then, we choose all the warm colors we have (different shades of oranges, yellows, reds). Then the first day, the paint their whole piece of paper with warm colors. After they have placed these on the drying rack there is usually about 10-15 left of class, so they sketch some dinosaurs from pictures that I have show them. 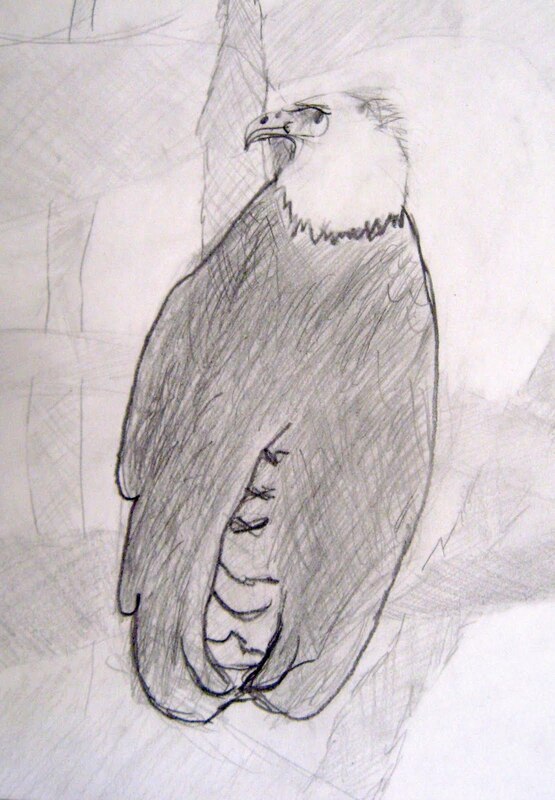 The following class period, they draw their dinosaurs using white colored pencil on a black piece of paper. Then, they cut these out. I show them how to flip the dinosaurs over and glue them down so that their white lines are on the bottom. I love the striking contrast! 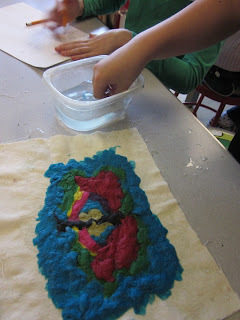 The 1st graders looked at art that was about water and then created their own underwater collage using tissue paper, foil, cellophane and drawings of underwater creatures. Frank Lloyd Wright: The 2nd graders discussed Frank Lloyd Wright's buildings. We analyzed how he integrated his buildings with the surrounding nature. 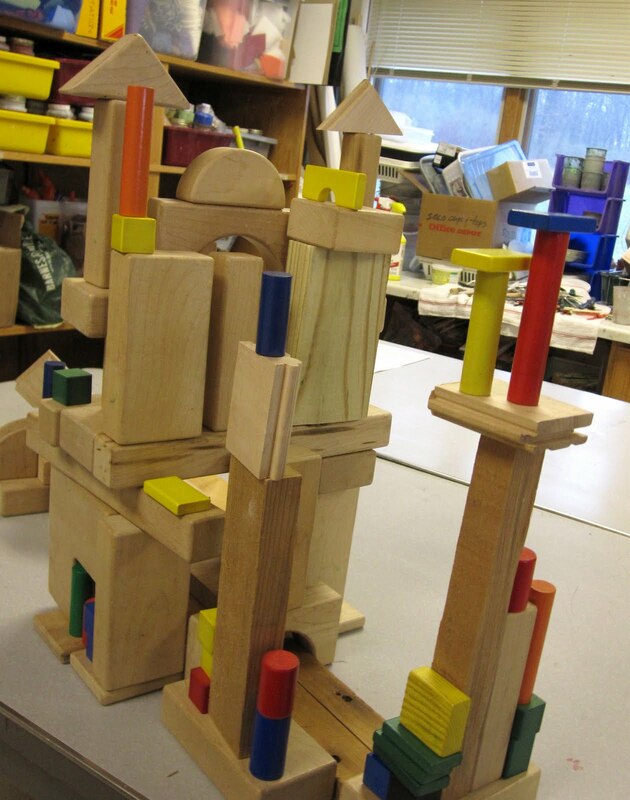 The students worked collaboratively to build intricate buildings out of wooden blocks. 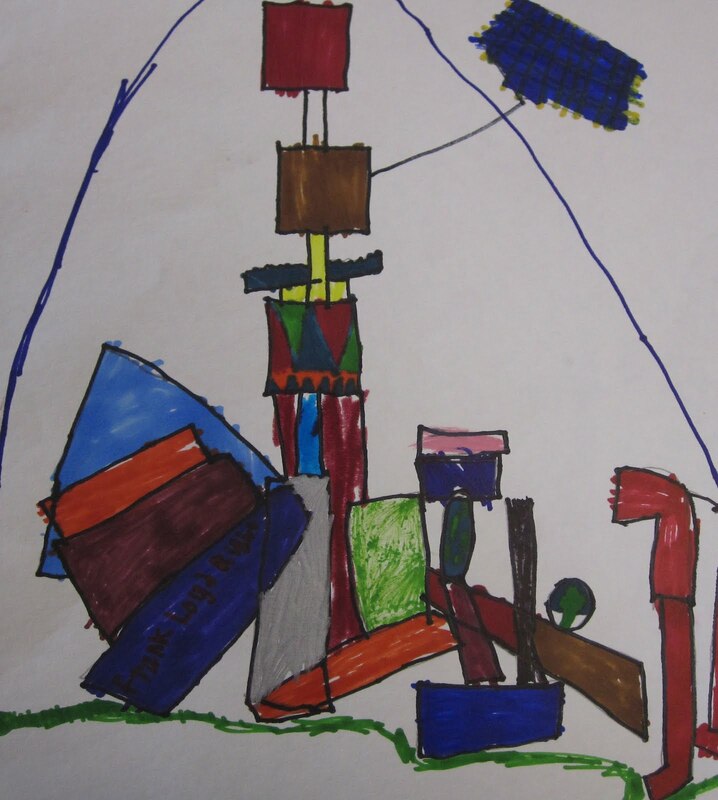 Next, they represented these buildings with a visual drawing and infused them with their own creative elements. 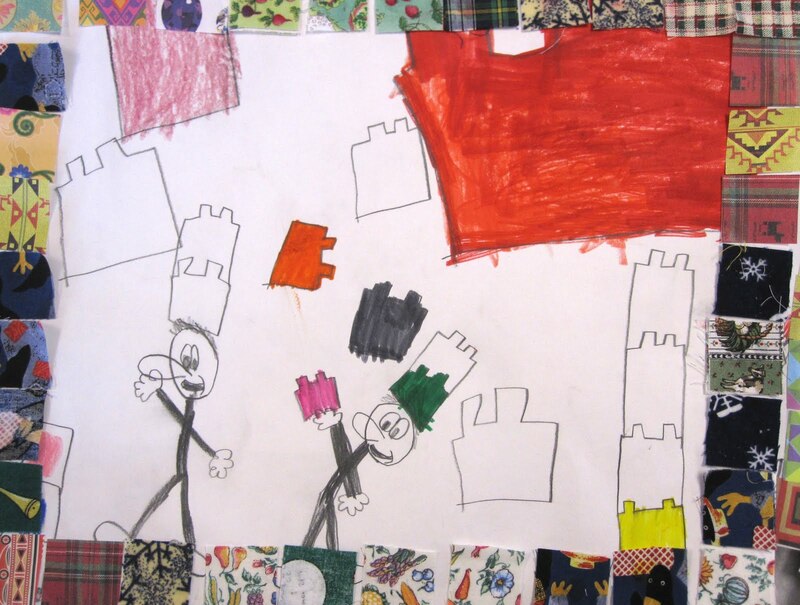 This unit focused on recalling a family memory and creating a picture about this story. 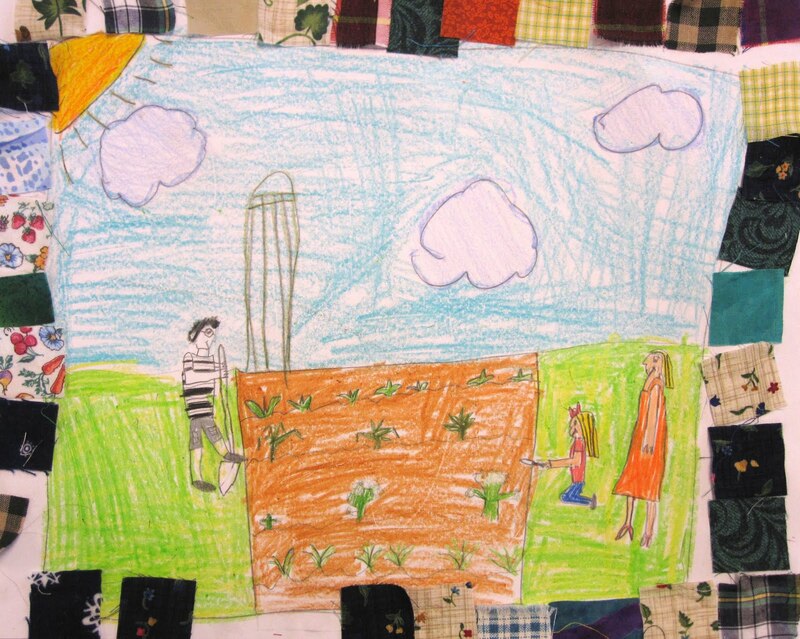 We read about the artist Faith Ringgold and her story quilts. 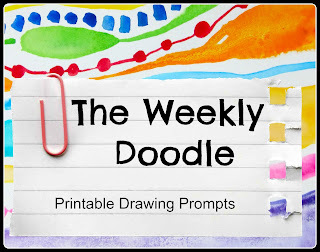 This drawing activity will help to sensitize you to the variety of drawing styles and qualities. First, fold your paper in half 3 times in order to make 8 rectangles. 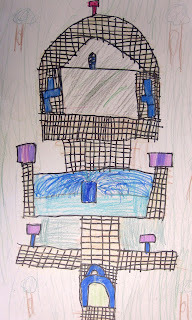 In each of the rectangles, you will make a portrait. Choose one of the postcards of a portrait to replicate. 1. In the first box, draw it as accurately as you can. 2. In the second box, draw it using quick, squiggly lines. 3. 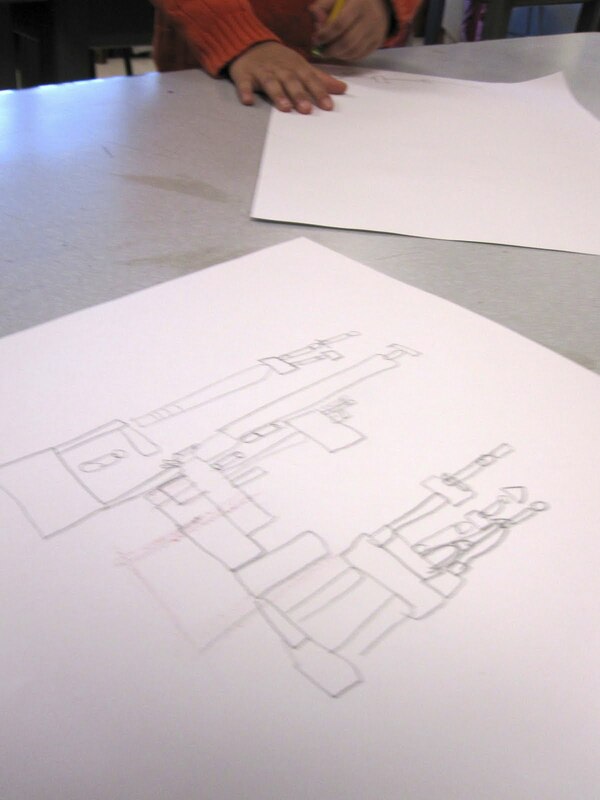 In the third box, draw it emphasizing shading and shadows. 4. Draw it very fat. 5. Draw it filled with patterns and designs. 6. Draw it made out of geometric shapes. 7. Draw it as if made of rocks, like a rock wall. 8. Draw it from memory. On Friday, the 7th/8th graders taught the younger kids for part of the day. One of the projects they made were these lovely tissue paper flowers in a construction paper cone vase. I loved them! 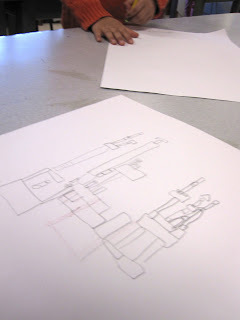 The 4/5s learned how to draw 3-d forms and include shading and shadows. 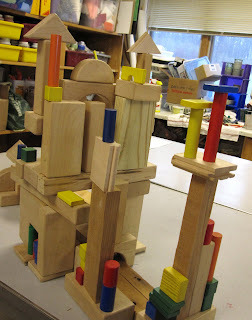 They stacked these shapes to make a "secret city". I got this idea from a book about drawing by Mark Kistler. This artist had a series of television shows that taught kids how to draw 3-d pictures step-by-step. Here is a video of a "secret city" mural. This is a worksheet from Carla Sonheim's Art of Silliness class. I recommend this class, it's very fun. The worksheets she sends you each day are very unique drawing activities. What I am doing with these is photocopying them for kids in my class to work on when they are finished with their regular art projects. 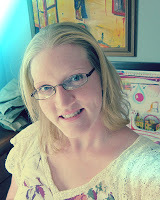 (She allows photocopying for classroom use in schools, which is awesome!) Some of the kids did a drawing exercise on Friday in class where they draw stacks of turtles. One stack with their left hand, one stack with their right hand. Great exercise for the brain and hand/eye coordination. The kids lOVED it. They also had a blast coming up with Fleep (nonsense) words. I also have Carla's book, which is also chock-full of fun drawing activities. Wouldn't this be a fun and educational project for kids? In my blog perusing, I found this cool junk mail tutorial. Wouldn't it be a fun project for kids to recycle all those pieces of junk mail we all receive? The catalogs and flyers that come in the mail are out-of-control for teachers! The 3/4s are learning about hatching and cross-hatching. They explored this technique in a portrait drawing. 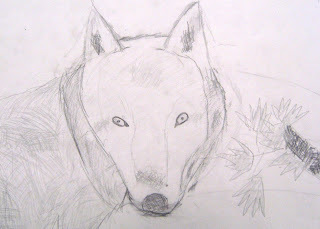 After a quick practice of portrait drawing, the students moved on to a cross hatched animal. Animal pictures lend themselves better to this technique, because there is a lot of texture on the surface of an animal.